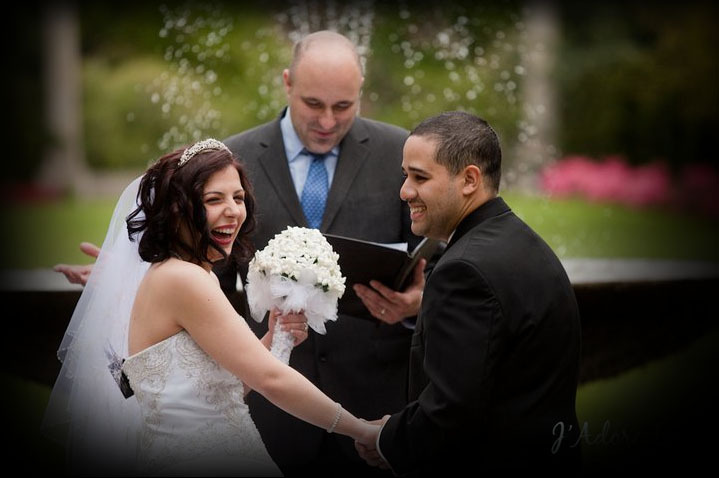 Welcome to New York Marriages , New York wedding officiants for all types of wedding ceremonies. Your Ceremony. Your Way. Our insights. registered to perform legally-binding wedding ceremonies. 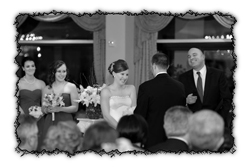 We have been servicing the tri-state area for close to a decade and within this timeframe have performed a wide array of ceremonies for people looking to take their first step as one into something more meaningful than they had ever previously envisioned. Whether your wedding is an intimate celebration between you, your significant other, and a handful of guests or a gathering of your "closest" four hundred friends and family, we here at New York Marriages can accomodate you with our "couple-centric" approach and flexible ceremony plans. Working alongside a wedding officiant from New York Marriages pairs you with a wedding professional who comes equipt with extensive writing experience and an abundance of wedding-planning knowledge which will allow you and your fiance to rest easy knowing you're in the hands of wedding celebrants who are professional without being condesecending or judgmental, light-hearted without making it seem comedic or irreverent. You will also find our New York Justices of the Peace to be endowed with very down-to-earth tempraments, astute organizational skills, a welcoming amount of flexibility, and great senses of humor all acting in concert with you and your beloved to craft your own personalized wedding ceremony reflecting what you both embody as people and as a couple. We have developed our exclusive Couple's Questionnaire , a tool we use the personalize your wedding ceremony allowing New York Marriages to get to know you as a couple as well as your thoughts about one another all the while guaranteeing your ceremony is as unique as the love you share for each other. Please email New York Marriages with any questions or requests you may have. allow yourself to hear firsthand why we are recommended by brides, family member, wedding guests, and even other wedding vendors. For immediate service, please do not hesistate to call New York Marriages at 917-755-8217. We wish you a lifetime of love, laughter, and balance!